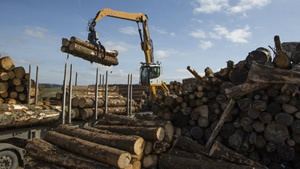 The U.S. Forest Service recently proposed a sweeping effort to identify aspects of environmental analysis and public participation to be “reduced” or “eliminated” regarding commercial logging projects in our national forests. The Trump administration is attempting to spin this as an effort to promote “increased efficiency” for the expansion of forest “restoration,” but these are just euphemisms for more destructive logging. Last summer, the Trump administration endorsed the Resilient Federal Forests Act, an extreme bill that would dramatically curtail environmental analysis and restrict public participation to increase logging of old forests and post-fire clear-cutting in our national forests. The bill passed the House of Representatives in the fall but stalled in the Senate. This new regulatory proposal is simply an effort to implement the same pro-logging agenda without going through Congress. The proposal targets an astonishing “80 million acres of National Forest System land” for commercial logging — much of it comprising old-growth forests and remote roadless areas — based on the claim that logging and clear-cutting of these areas is needed, ostensibly to save them from fire and native bark beetles. Not so. The overwhelming scientific consensus among U.S. forest and fire ecologists is that these natural processes are essential for the ecological health of our forests, including large events that create significant patches of dead trees, known as “snag forest habitat.” It may seem counterintuitive to some, but the science is telling us, loudly and clearly, that this unique forest habitat is comparable to old-growth forest in terms of native biodiversity and wildlife abundance. Many native species depend upon patches of dead trees, and the understory vegetation that grows in such patches, for food and homes. 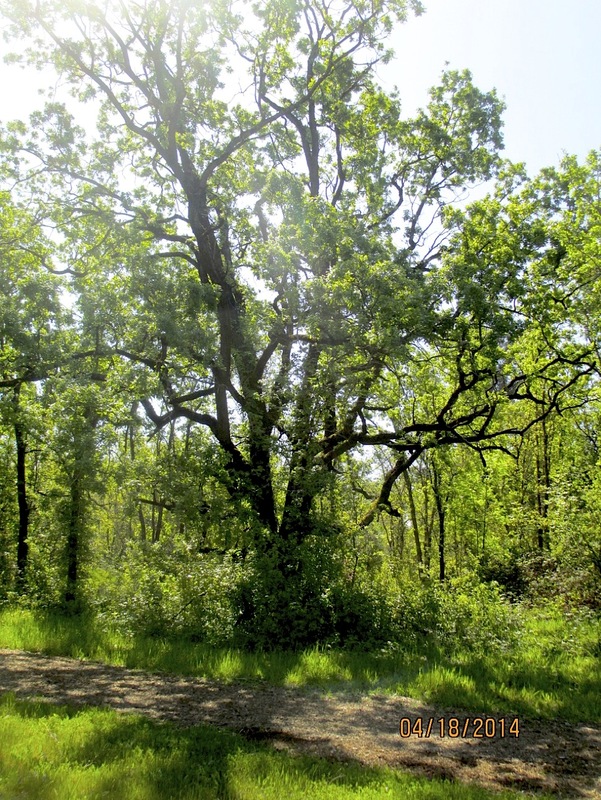 Forests naturally regenerate after fires, including the largest ones such as the 2013 Rim Fire in the Sierra Nevada, creating a complex and rich ecosystem. The Trump administration’s claim that increased logging will curb forest fires is equally suspect. Science tells us that forests with the fewest environmental protections, and the most logging, actually burn more intensely, not less. This is because logging companies remove relatively non-combustible tree trunks, and leave behind flammable “slash debris” — kindling-like branches and twigs — and remove much of the forest canopy, which otherwise provides cooling shade. The Forest Service has now begun promoting the notion that the 257,000-acre Rim Fire emitted about 12 million tons of CO2, based on a computer model that makes the mythological assumption that trees are essentially vaporized during fires. This is part of the “catastrophic wildfire” narrative that the Trump administration has weaponized to argue for rollbacks of environmental laws, and more commercial logging. In fact, even in the most intensely burned patches, only about 2 percent of the total biomass of trees is actually consumed. Don’t be fooled. Trump’s proposal is nothing more than a thinly veiled attack on our national forests for the benefit of the logging industry. Chad T. Hanson is director of the John Muir Project (www.johnmuirproject.org) and the author of “The Ecological Importance of Mixed-Severity Fires: Nature’s Phoenix” (Elsevier, 2015). In 2013 the California Legislature passed SB 904 which created a new logging plan called a Working Forest Management Plan (WFMP). The industry-dominated Board of Forestry was required to promulgate regulations implementing the WFMP. True to form, the Board attempted to subvert the strong environmental requirements of the legislation. Consequently in November Environmental Protection Information Center, Coast Action Group and challenged the regulations in court. Forest Unlimited has financially supported this suit. Oral arguments on the case were heard in Alamedia Superior Court on Friday April 20 and members of Forest Unlimited were there. The Atroney General’s office and a CalFire attorney defended the regulations. 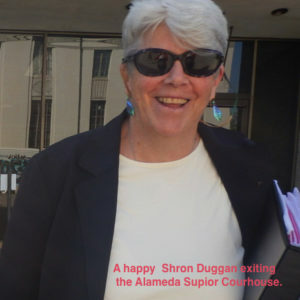 Well know attorney Sharon Duggan represented our side. Ms. Duggan is the author of Guide to the California Forest Practice Act and Related Laws, a tome used by attorneys and ordinary citizens alike to understand forestry law. We should see the final ruling a week or so. Hopefully, the Board of Foresty will learn that it can not just do whatever it’s wants and must actually follow the law. Given their history, we know that is a lot to ask. Friends of Felta Creek have challenged the approval of a logging plan 1-17-017 SON which will damage the salmon run in Felta Creek! Please attend these court dates if you can. Showing the judge that lots of people care about protecting Felta Creek and stopping this timber harvest plan can only strengthen our case. May 16, 3:00pm Courtroom 18, 3055 Cleveland Avenue in Santa Rosa is the hearing to hold off timber operations. 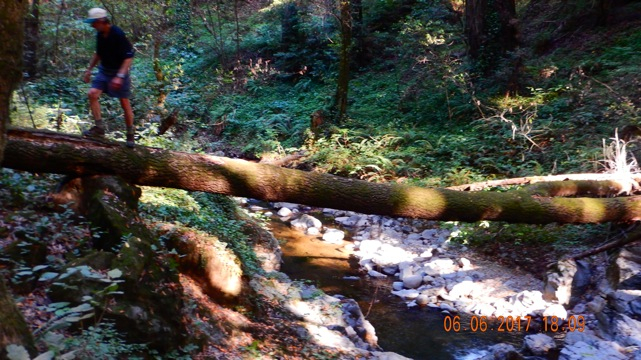 August 17, 3:00pm Courtroom 18, 3055 Cleveland Avenue in Santa Rosa is the main trial hearing where Friends of Felta Creek is suing CalFire for approving this THP.